Twenty-five years ago, when the power steering failed, diagnosing the system was easy. The most difficult problem to diagnose was the “morning sickness” that plagued some ­vehicles when they were cold. 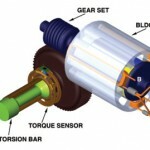 Today, the introduction of speed sensitive steering, electric power steering and computer controls have made power steering diagnostics more demanding. 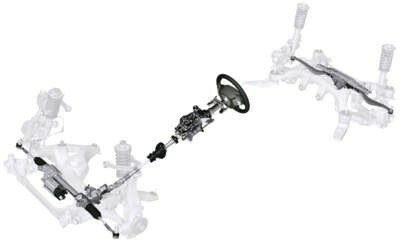 There are two types of conventional power steering systems. The first type uses a hydraulic cylinder attached to the drag link and the chassis. A control valve is attached to the end of the drag link, replacing the tie rod end, and the valve actuator is connected by a tapered shaft to the pitman arm. The second type uses a hydraulic cylinder that is an integral part of the steering gear and is connected to the recirculating ball nut located on the steering shaft. The rotary control valve is connected to a torsion bar that is part of the steering shaft. The rack-and-pinion steering gear hydraulic cylinder is part of the rack gear, and the control valve is connected by a torsion bar to the steering shaft. In each power steering system type, the pump delivers fluid to the control valve. The control valve opens a pressurized flow to and from the hydraulic cylinder and responds directly to input from the pitman arm or steering shaft. The actuation of the control valve is based on input geared to slower vehicle speeds where assist is needed the most. This configuration makes the steering more sensitive at higher speeds. Modifying the flow from the pump to the cylinder started as a method to reduce high-speed sensitivity in the 1980s. This control system is called an electronic variable orifice (EVO). 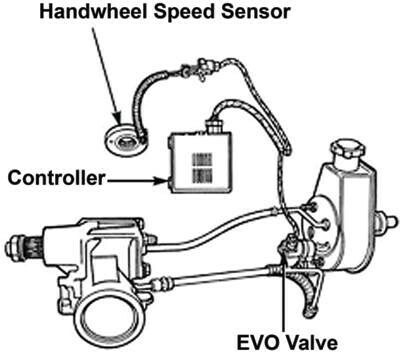 The EVO valve is mounted at the power steering pump outlet and uses an electronic controller to produce magnetic field changes in its solenoid coil. The valve pin attached to the orifice valve extends into the solenoid coil, and the magnetic field generated by the solenoid coil will pull the pin into the coil. This pulling action regulates the flow through the valve. The valve and controller can be used with rack-and-pinion and conventional systems. An electronic controller changes the magnetic field in the solenoid coil by sending a pulse width modulated (PWM) voltage to the coil. The controller adjusts steering effort based on vehicle speed input to the controller and steering wheel position. Vehicle speed input normally comes from the engine control module (ECM). Steering wheel position comes from the hand wheel speed sensor (HWSS). The HWSS measures the speed at which the steering wheel is turned and produces a variable analog voltage signal to the controller. 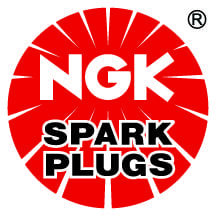 The signal will vary from a high voltage to a low voltage and return to high voltage as the steering wheel is turned through 180º of rotation. A combination of vehicle speed and the rate at which the steering wheel is being turned will produce a PWM signal from the controller to the solenoid coil, varying the amount of assist. During parking maneuvers, when there is no vehicle speed input, the orifice control valve has no magnetic field and provides high pump flow for low steering effort. At highway speeds, the orifice control valve magnetic field is increased to reduce the flow in proportion to vehicle speed to achieve higher steering effort and reduce input sensitivity to the steering wheel. When the controller receives both a vehicle speed input and an HWSS input, it will increase the magnetic field to decrease the pressure and flow to provide less assist and increase steering effort. The HWSS has four voltage divider circuits and a “wiper” for the sensor wheel. The voltage dividers are constructed of a resistive material on a film powered by a 5-volt reference to make four 90º sensing elements. 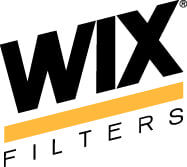 The wiper has a contact that rides on the resistive film and supplies the output signal to the controller. The signal ranges from 0.5 to 4.5 volts with a ±0.3 volts. For example: The sensor produces 0.2 to 4.8 volts when the steering wheel is rotated 90º. Then the sensor produces 4.8 to 0.2 volts for the next 90º of steering wheel rotation in the same direction. When the steering wheel has been rotated 360º, the voltage will have gone from 0.2 to 4.8, from 4.8 to 0.2, from 0.2 to 4.8 and from 4.8 to 0.2 volts in a constant rising and falling voltage pattern. What happens when the coil in the EVO valve fails? The power steering pump will deliver full pressure and volume to the hydraulic cylinder. Steering the vehicle will be more sensitive than when the valve was operating and will exist under all driving conditions. What happens when the valve fails in the closed position? Steering the vehicle will require more effort as there will be little or no assist. 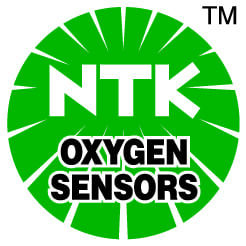 What happens when a sensor fails? There will likely be an intermittent failure. An intermittent interruption to the vehicle speed input to the controller will produce an increase in power assist. 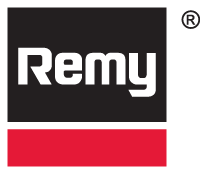 This condition can be detected when the vehicle is moving because the steering wheel is sensitive to small inputs. The controller is in parking mode with the pump delivering full steering assist. An intermittent interruption of the HWSS with the vehicle moving will produce minimum power assist. This will be detected as a sudden increase in steering effort when the vehicle is turning a corner. • C0504 – Steering Assist Control Solenoid Return Circuit High. A scan tool can help quickly diagnose the problem. Another valuable tool is a digital multimeter that can measure pulse width and provide diagnostic and component test information. 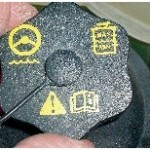 Some of the most important diagnostic and repair solutions can come from service information. There may be a TSB out there that describes the condition and repair for the vehicle. Take advantage of all your diagnostic options before starting the repair. An Electronic Power Steering (EPS) system’s advantage over a hydraulic system is if the engine stalls, you will still have steering assist. Article courtesy of Brake And Front End.